UTV Action’s “Economy UTV Buyer’s Guide” showcases machines that are surprisingly affordable, and many deliver extra performance or features for their price points. 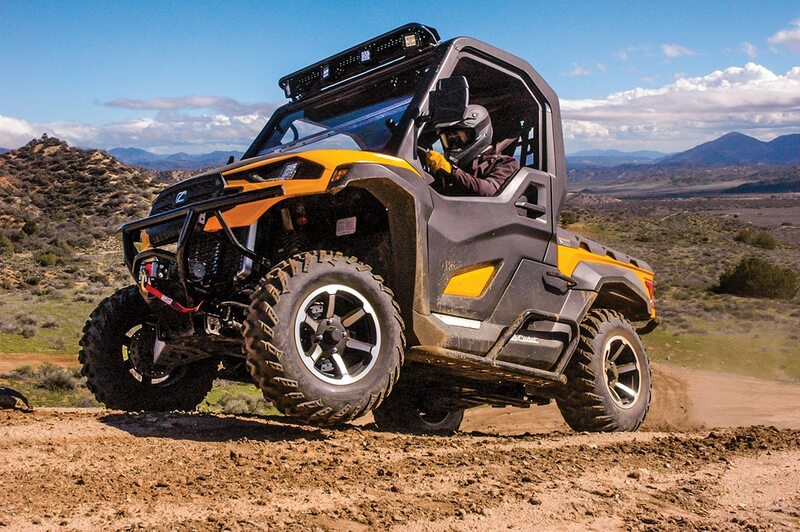 If you don’t think you can afford a new UTV, or you want to step up to something larger or better equipped than what you’re currently driving, you need to check out the machines in this guide! The Spire 1000 EPS is powered by a 976cc V-twin. 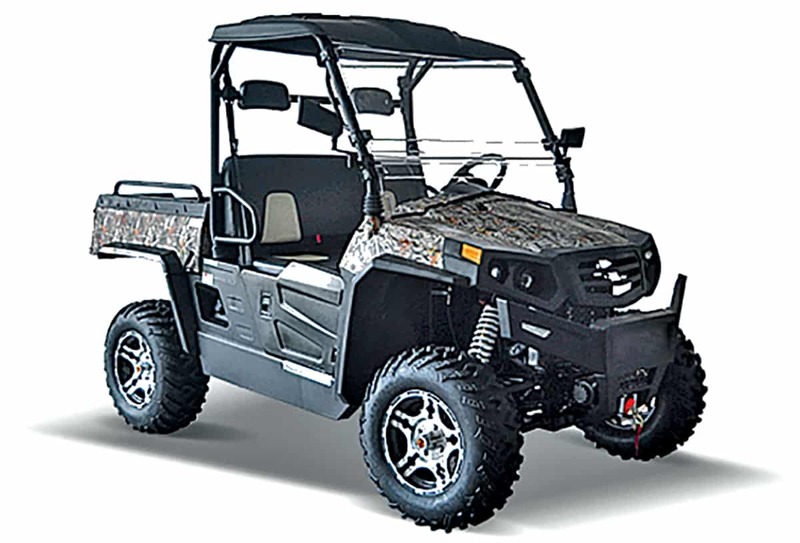 This 65-inch-wide machine has 10 inches of travel using front and rear adjustable piggyback reservoir shocks. Aluminum wheels and a heavy-duty front bumper are standard equipment. 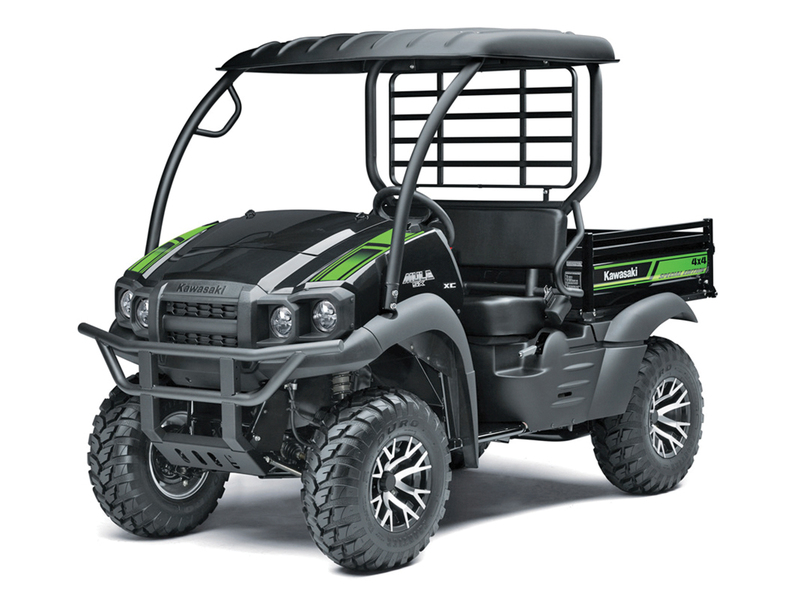 Massimo’s Militia 1000S is a very well-equipped liter-class UTV for $11,999. It’s 65 inches wide and comes with power steering, piggyback reservoir shocks, aluminum wheels, winch, windshield and a roof. Bed capacity 350 lb. (S), 600 lb. Claimed dry weight 1275 lb. Odes’ Ravager 1000 is powered by an 85-horsepower V-twin. Dual A-arm suspension provides 14 inches of travel front and rear. Zeus Touch allows touchscreen control for GPS, Bluetooth, audio and instrumentation. Standard equipment includes EPS, roof, windshield, doors, heated seats and aluminum wheels. Claimed dry weight 1360 lb. 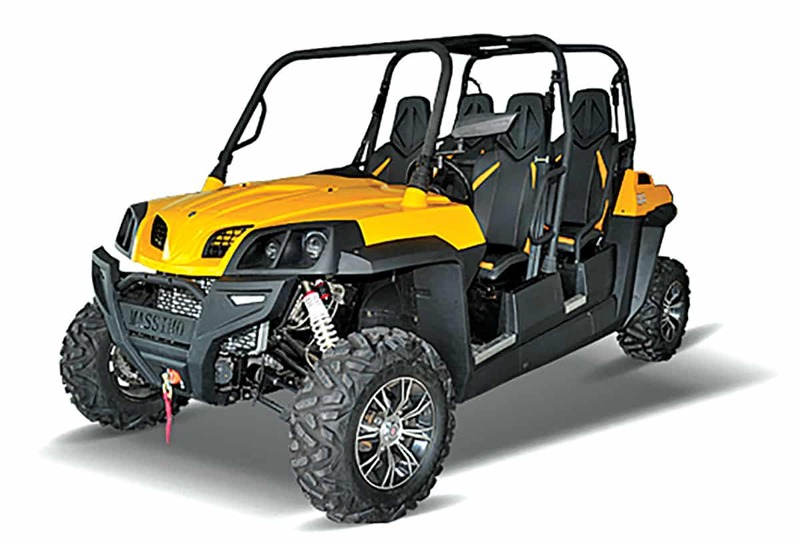 Odes’ Dominator is a crossover sport/recreation machine with 14 inches of suspension travel, sport seats and a power dump bed. It’s available in 1000cc and 800cc versions in three trim levels. SEs come in bold colors with color-matching accents. SEs and all Zeus models include Zeus Touch touchscreen control for GPS, Bluetooth, audio and instrumentation. 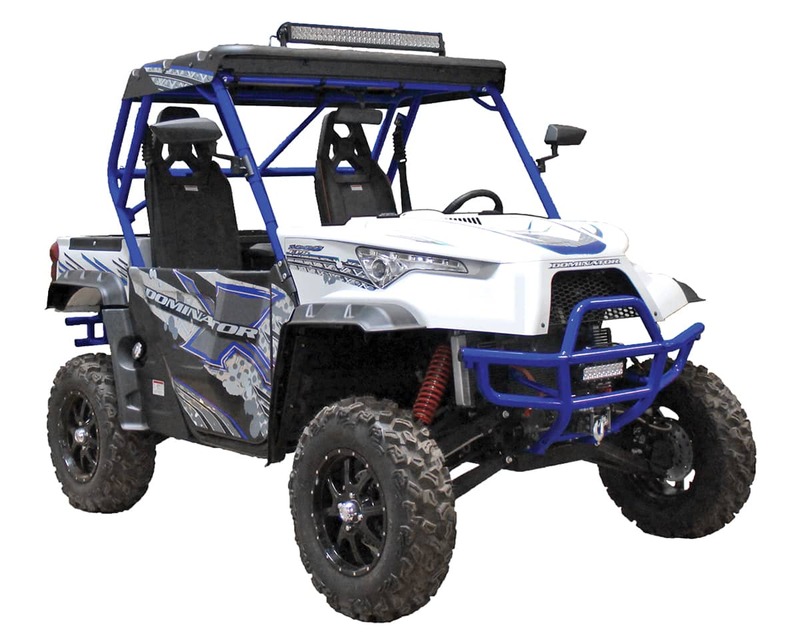 Dominators also come with EPS, front and rear 3500-pound winches, 32-inch LED light bar, roof, H-D front bumper with LED light bar, full windshield, mirrors, metal-frame doors, adjustable seats, and 29-inch tires on 14-inch aluminum rims. Claimed dry weight 1,384 lb. The Spire 1000X has seating for four. This machine is 65 inches wide and has front and rear sway bars and stable handling. Transmission CVTec CVT w/EBS & rev. 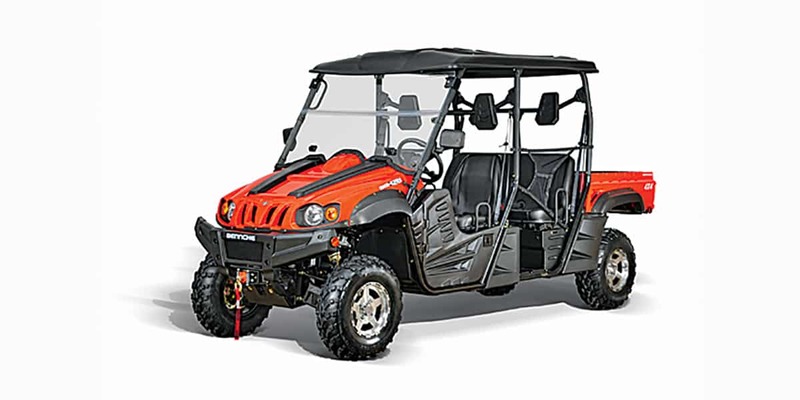 The four-seat 1000XS comes with LED headlights, H-D front bumper with winch, turn signals, mirrors, 27-inch Bighorn tires, aluminum wheels and piggyback reservoir shocks. Transmission CVTec CVT w/ EBS & rev. Claimed dry weight 1,591 lb. 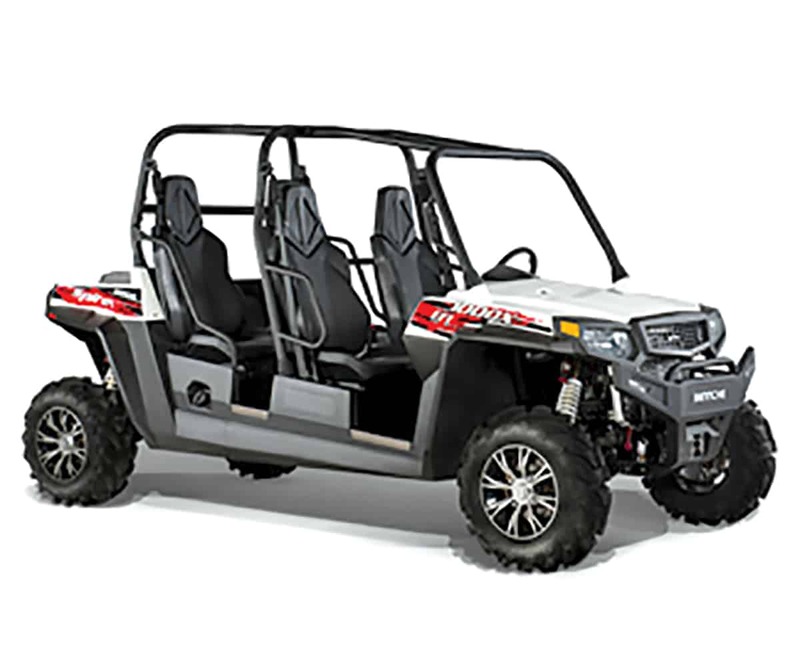 The Dominator X4 is a five-seat crossover sport/recreation machine with 14 inches of suspension travel, sport seats and a power dump bed. It’s available in 1000cc and 800cc versions in three trim levels. SEs come in bold colors with color-matching accents. SEs and all Zeus models include Zeus Touch touchscreen control for GPS, Bluetooth, audio and instrumentation. 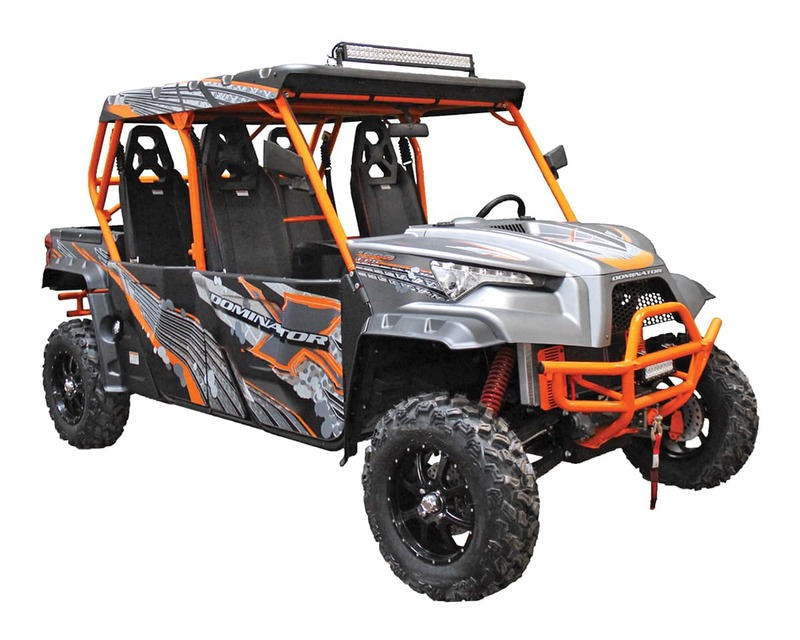 Dominators also come with a EPS, front and rear 3500-pound winches, 32-inch LED light bar, roof, H-D front bumper with LED light bar, full windshield, mirrors, metal-frame doors, adjustable seats, and 29-inch tires on 14-inch aluminum rims. Claimed dry weight 1,678 lb. 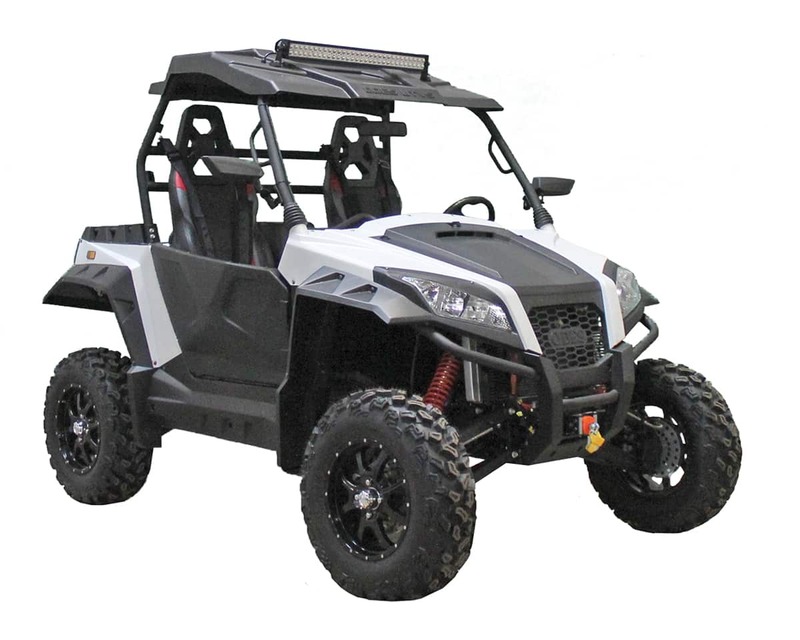 The Cowboy 1000, 700 and 500 EPS come well equipped with aluminum wheels and front and rear sway bars. A 976cc V-twin powers the 1000. The 700 and 500 have four-valve, overhead-cam single-cylinder engines. 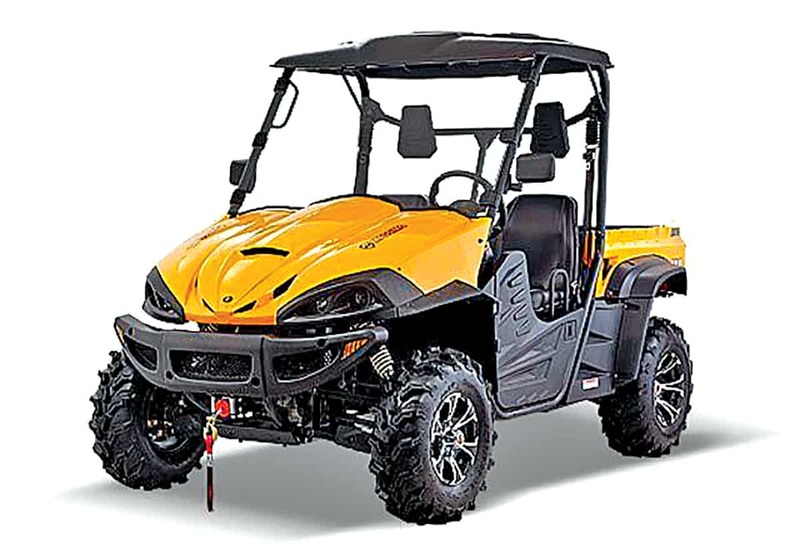 Challengers are loaded with features, including adjustable piggyback reservoir shocks, winch, windshield, doors, roof, mirrors, H-D bumper, turn signals, full skid plate and bed liner. 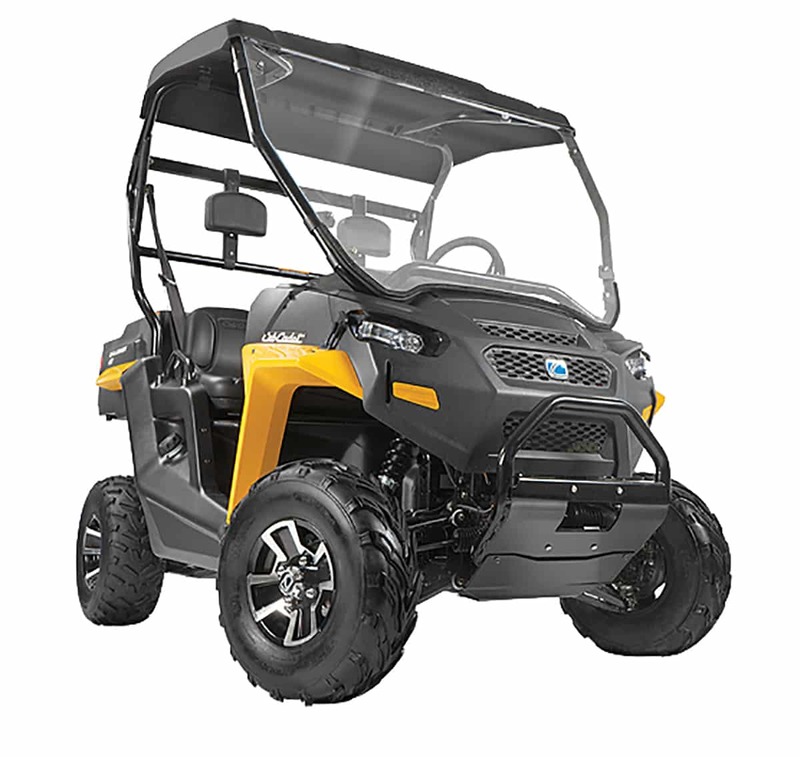 These machines are available through Cub Cadet’s large dealer network. Claimed dry weight 1,611 lb. 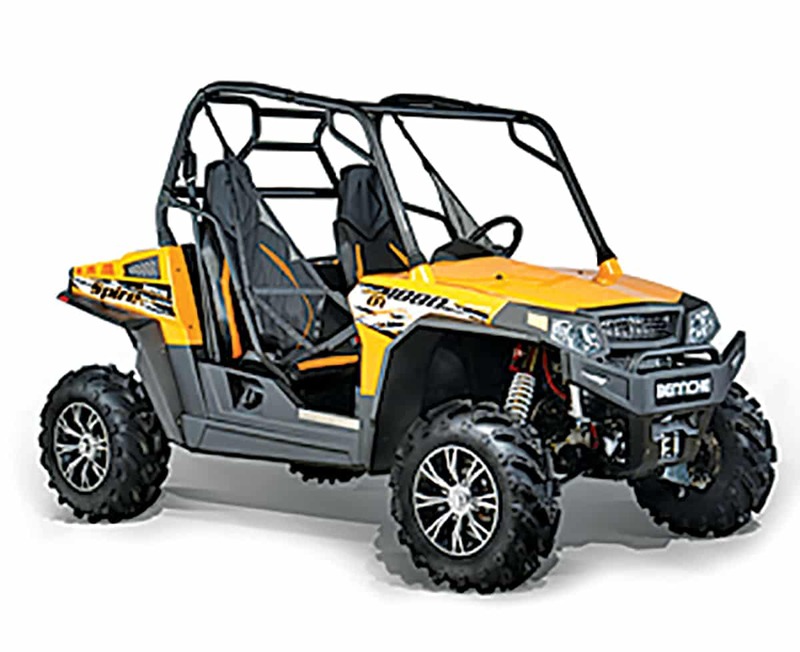 Built on a more compact platform than the Cowboy, Bennche’s Bighorn is ideal for tackling tough terrain in more confined conditions. Front and rear sway bars fight body roll during cornering and on off-camber trails. Claimed dry weight 1,155 lb. The Alligator 700 & 500 are very well equipped. 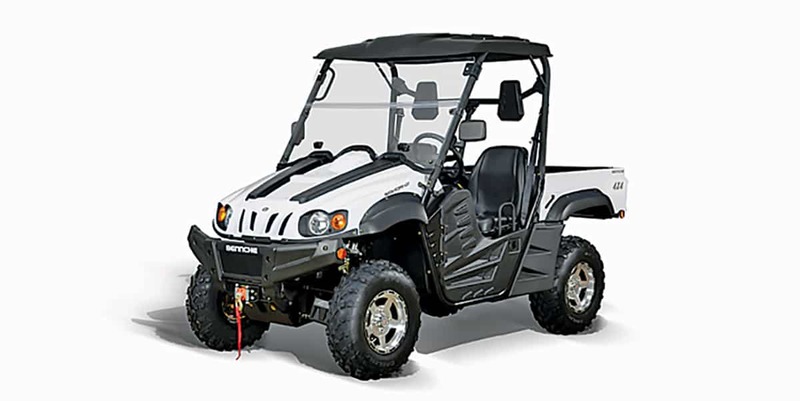 They come with a winch, roof, windshield, mirrors, high-backed seats, H-D front bumper with turn signals, doors and aluminum wheels. Claimed dry weight 1,197 lb. Massimo’s Knight 700 and 500 have a slightly narrower chassis than the Alli 700, and a bench seat replaces the Alligator’s sportier bucket seats. The list of standard features is just as long as the Alli’s and includes a winch, windshield, mirrors, doors, bed rails and aluminum wheels. Claimed dry weight 1179 lb. The Double X 600 can help with chores and explore trails. The transmission has engine braking. The machine also comes with a 3000-pound winch, MP3 audio system, roof, half windshield and aluminum wheels. Claimed dry weight 1,154 lb. 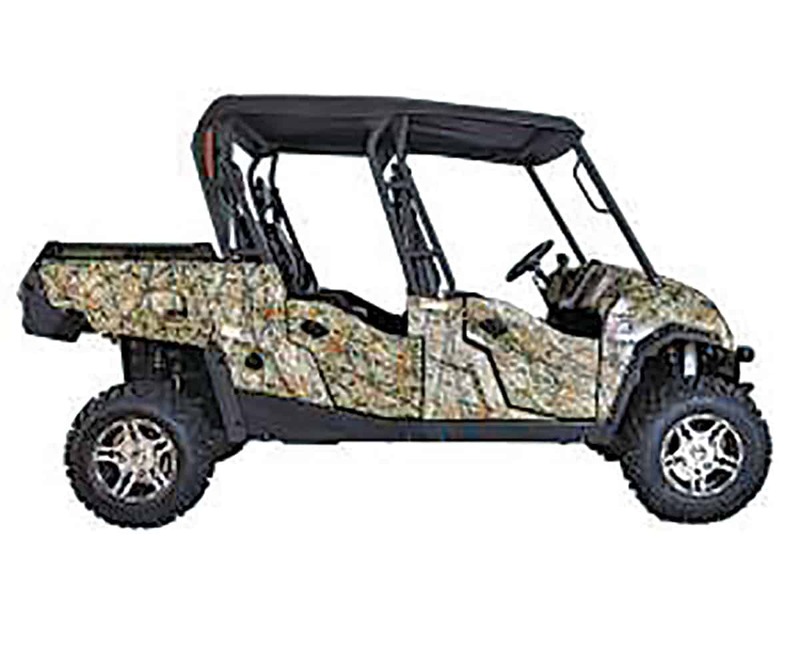 The Bighorn 500 is an entry-level UTV with standard features like a high-end model. It comes with a winch, roof, turn signals, mirrors and H-D bumper. Claimed dry weight 1,146 lb. 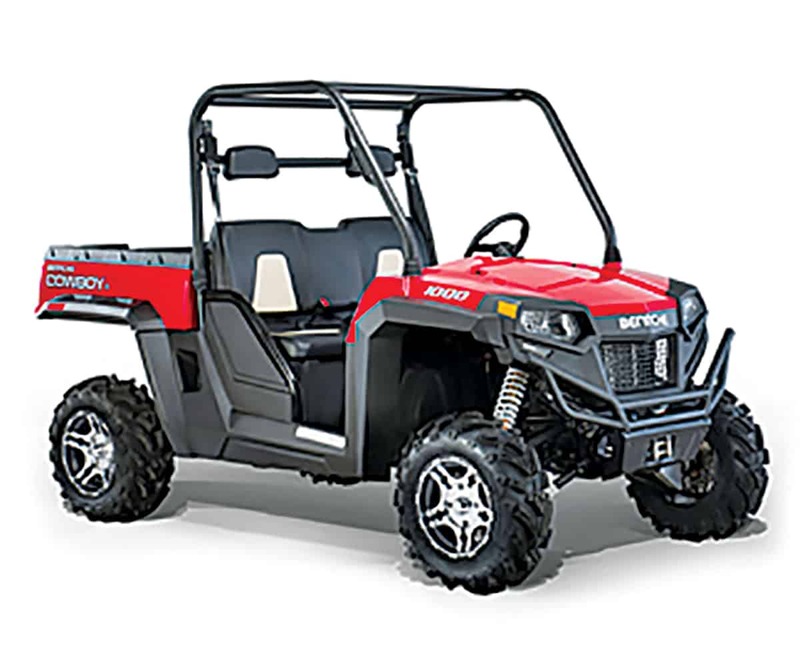 The Sector 550 and 450 are full-size machines that are economical to buy and run. 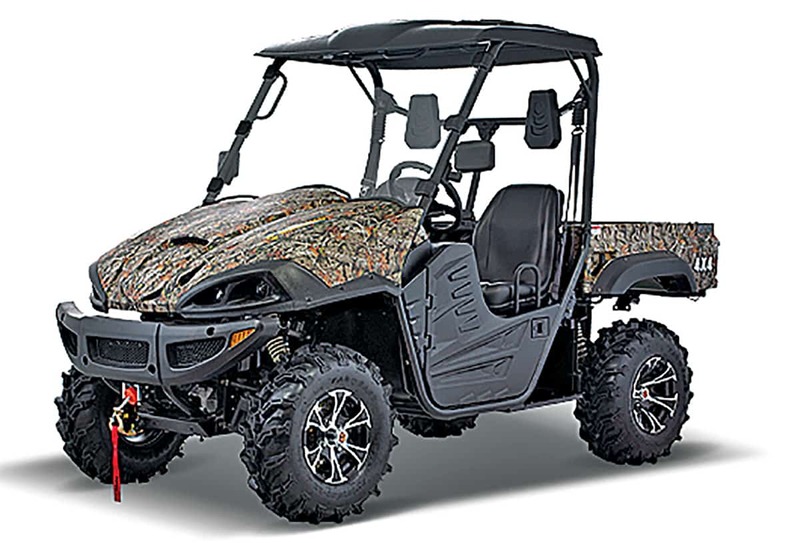 Standard features include a 3500-pound winch, tilt steering wheel, roof, windshield, H-D front bumper, turn signals and mirrors. EPS is an option on both. Claimed dry weight 1,363/1,300 lb. 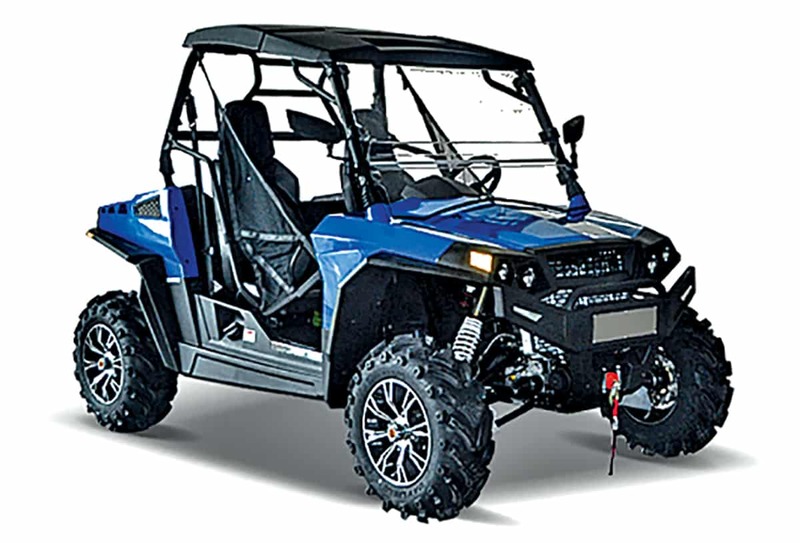 The Alli 500 and 500 EPS are built on the roomy 700 platform with a 471cc single-cylinder engine. A winch, H-D front bumper, turn signals, windshield, mirrors, doors, bucket seats and two-tone aluminum rims are all standard equipment. 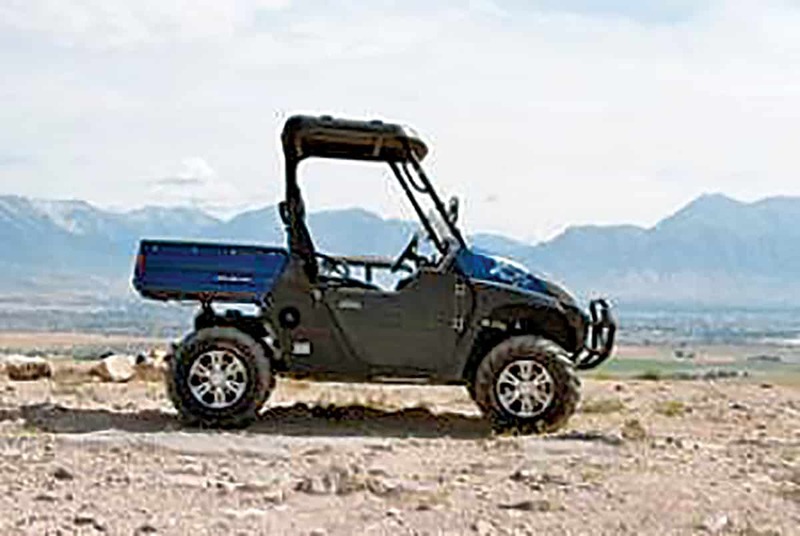 The Bighorn 700X provides room for four with two front bucket seats and a rear bench seat. Front and rear sway bars provide stable cornering. Twenty-six-inch tires on 14-inch wheels add ground clearance to get this long-wheelbase machine through rugged terrain. Claimed dry weight 1,540 lb. The Double X 600 Crew’s wheelbase is more than 2 feet longer than the two-seater’s to provide room for the rear passengers. 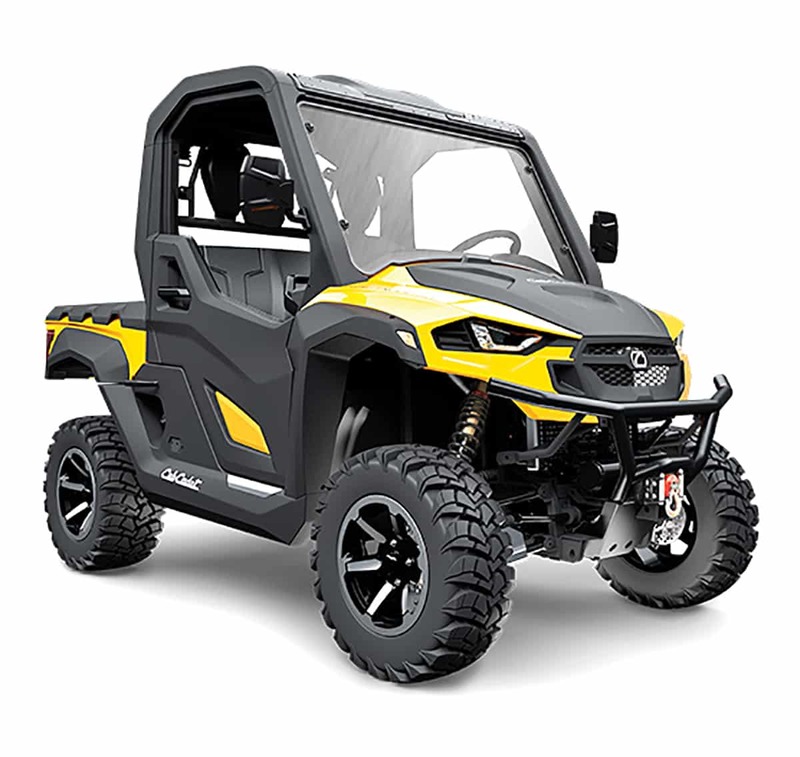 This machine costs less than many two-seaters, but it comes with extras like a 3000-pound winch, half windshield, MP3 player with speakers, roof and aluminum wheels. Claimed dry weight 1,295 lb. 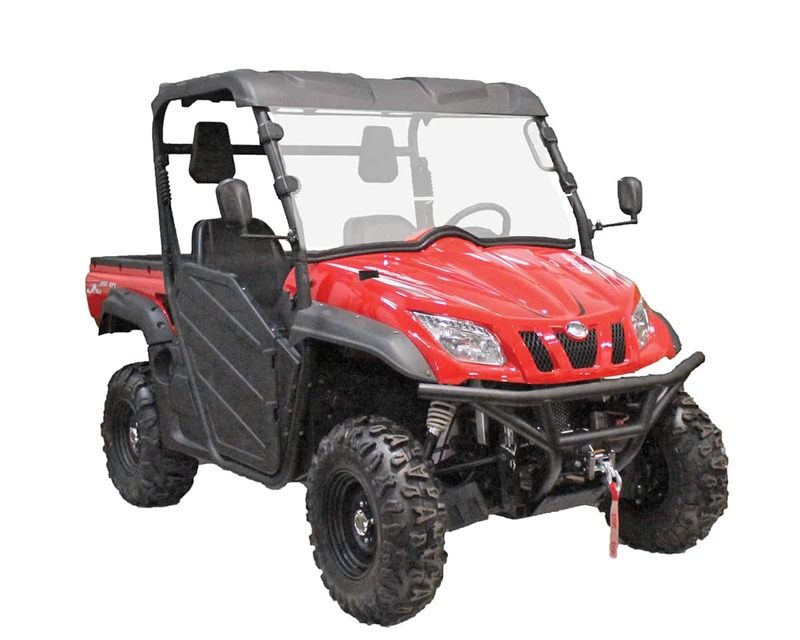 The Comrade 650 is ready for adventure with selectable 2WD, 4WD and front differential-lock double-A-arm front and rear suspension offers a smooth ride. Impressive standard features include a winch, roof, doors, hitch with tow ball and more. The 50-inch 2WD Challenger 400, 400LX and 400 4×4 are ideal for tight trails and confined work areas. The 400LX comes with a roof, windshield and aluminum wheels. Claimed dry weight 940 lb. THE NEW DECEMBER ISSUE IS HERE! Youth UTV & ATV Market in North America to Hit $380 Million by 2024!